Kevin Durant making a move from the Golden State Warriors would be good for the NBA, Tracy McGrady says. Tracy McGrady thinks Kevin Durant leaving the Golden State Warriors would be "great" for the NBA. Golden State have dominated the league and won back-to-back titles since Durant joined the team in July 2016. But, there are rumours circulating that the 30-year-old star may become a free agent and leave the Warriors this offseason. McGrady, a seven-time All-Star who is an analyst for ESPN, said on Tuesday on The Jump that Durant signing elsewhere would help "parity" in the NBA. "[That would be] great for the league," McGrady said. 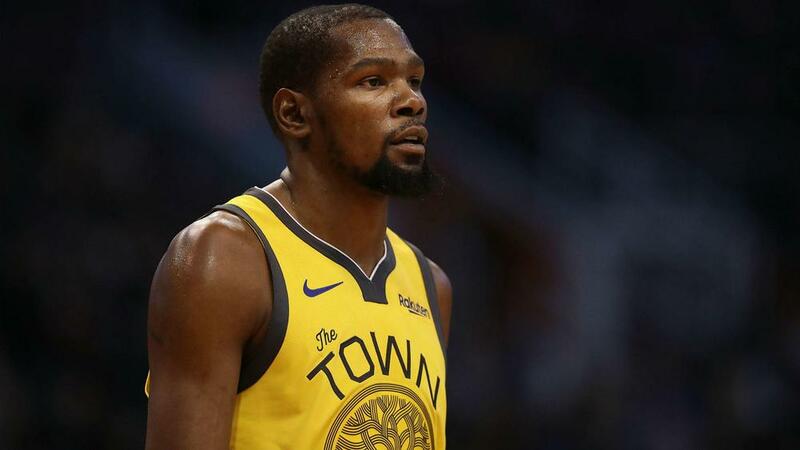 "Although I love seeing these guys play on the big stage every year, I think we just need some more parity … Kevin Durant just completely changed everything when he went there and made it not fair for the league." Durant is averaging 28 points, 7.4 rebounds and six assists in 35.5 minutes per game for Golden State this season. He is shooting 51.1 per cent from the field and 38.5 per cent from three-point range.